Now your little girl can show how curious and determined she is, just like Alice! She'll be ready for her own adventures in this costume. 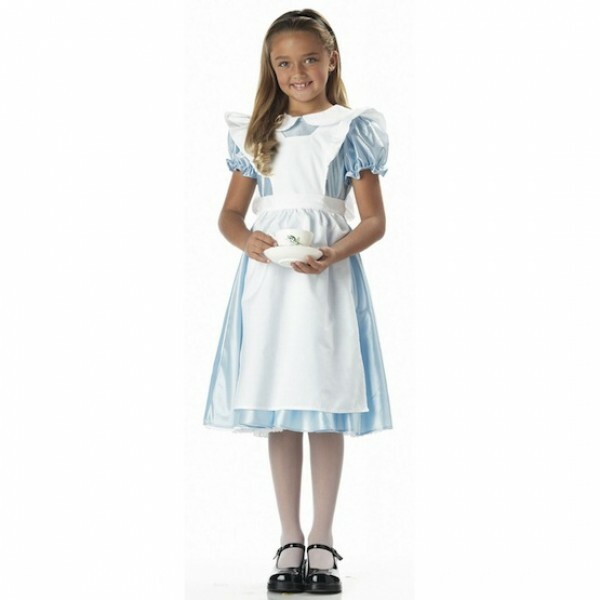 Alice costume includes dress with attached lace trimmed petticoat, puffed sleeves, and cotton apron.The shoes, tights, and headband are not included with this costume.